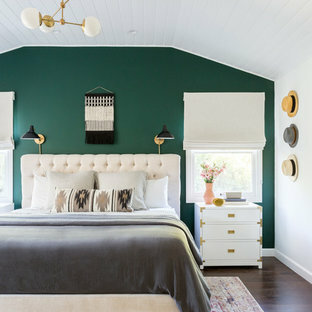 Whether you want inspiration for planning a los angeles bedroom remodel or are building a designer bedroom from scratch, Houzz has 34,963 pictures from the best designers, decorators, and architects in the country, including TKArchitecture and Details Interiors, LLC. 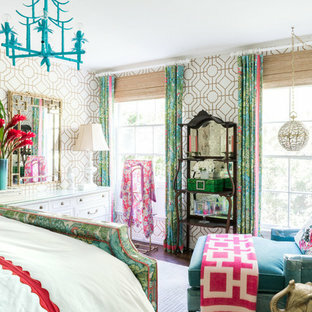 Look through los angeles photos in different colors and styles and when you find a design that inspires you, save it to an Ideabook or contact the Pro who made it happen to see what kind of los angeles bedroom design ideas they have for your home. 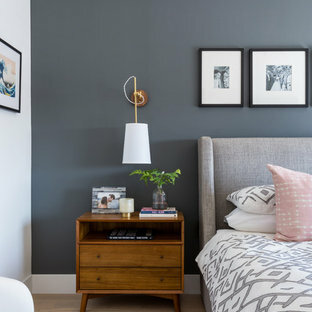 Explore the beautiful los angeles bedroom ideas photo gallery and find out exactly why Houzz is the best experience for home renovation and design. This was an interesting project. The client worked with one of our preferred interior designers. The house was a contemporary design and had a very open floor plan. Whichever way you turned in this house there was always 2-3 walls in different rooms in your line of sight. We came up with a plan that all walls which were in the line of sight of each other would be painted all the same color. Most rooms ended up having 3-4 colors but it worked amazingly well. This was one of my favorite projects because of the challenges involved and having to think outside the box. I love the bold colors and crisp clean paint lines. What a transformation. Our Palm Beach Color-Splosion Apartment! Reston, Virginia. Modern Northern Virginia Residence. The master bedroom has a dramatic tall ceiling cutout that brings light and ambiance to the space. A modern ceiling fixture of brass and black metal hangs from above. The custom upholstered bed is in a rich blue velvet and the lamps are in matte brass. The grasscloth accent wall has taupe, navy and black in it, bringing texture and warmth to this calming space. Salty Lime Veneer gives an artistic yet sophisticated style to this contemporary reach-in closet. With floating shelves, LED (hanging) U-shaped rods, pullout bins and shoe storage, this custom closet provides the perfect blend of form and function. See more photos of this project under "Modern Reach-in Closets"
By Caitlin & Caitlin Design Co. The hidden murphy bed is located in the living room, turning a one bedroom loft into a two bedroom. The secret space has it's own identity with an upholstered gray headboard, a charcoal interior, decorative pillows and original art.